Politico has hired stimulus apologist and Tim Geithner collaborator Michael Grunwald, the trade publication’s editor announced on Tuesday. Grunwald will serve as a senior staff writer for Politico Magazine, as well as the editor-at-large of a forthcoming Politico venture. 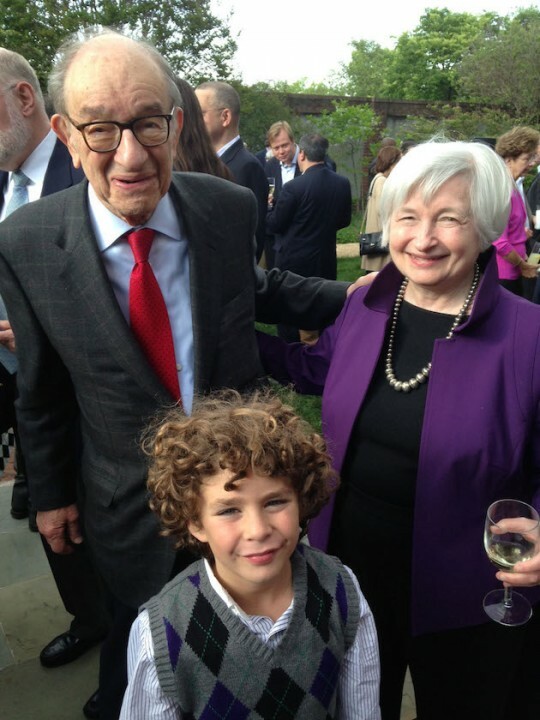 Grunwald is best known for his book, The New New Deal: The Hidden Story of Change in the Obama Era, in which he praises the 2009 stimulus package as a success, and for sending a photo of his son Max posing with current and former Federal Reserve chairs Janet Yellin and Alan Greenspan to Politico‘s Mike Allen, who published it in a corporate-sponsored Politico newsletter. Grunwald was also handpicked by former Treasury Secretary Tim Geithner to ghostwrite his memoir, Stress Test. Politico has accumulated its fair share of critics. Labor reporter Mike Elk, for example, has publicly questioned why a number of Politico employees have jobs. Politico hired Elk last month to report on labor issues. This entry was posted in Politics and tagged Politico, Stimulus, Tim Geithner. Bookmark the permalink.